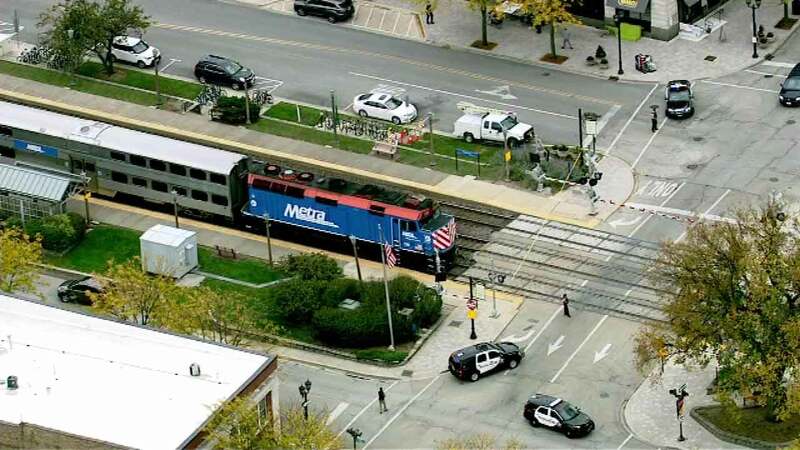 ELMHURST, Ill. (WLS) -- Police are looking for help in identifying a woman struck and killed by a Metra train on the Union Pacific West line in Elmhurst. Witnesses told police they saw the woman step in front of inbound train No. 52, scheduled to arrive in Chicago at 4 p.m., at 3:20 p.m. Friday east of the York Road, according to a statement from the Elmhurst Police Department. The woman, thought to be in her 60s or 70s, is described as a 130-pound white woman with light-colored hair. She was wearing blue jogging pants and a white night gown with a laced bow and size 7 shoes. She had a Lina pursue on her, with a house key on an orange ring and glasses inside, police said. She was not wearing jewelry and did not have any identification on her. Anyone with information about the identity of the woman should call the Elmhurst Police Department at (630) 530-3050.